How to change the value of a check box onClick using JQuery? onclick="$(this).attr('value', this.checked ? 1 : 0)"
onclick="$(this).val(this.checked ? 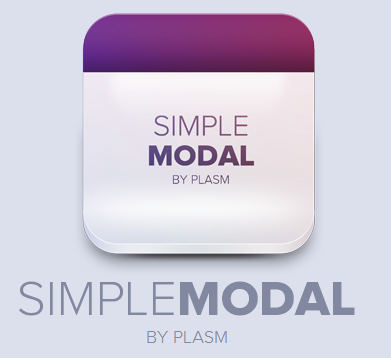 1 : 0)"
SIMPLEMODAL is a small plugin to create modal windows. It can be used to generate alert or confirm messages with few lines of code. Confirm configuration involves the use of callbacks to be applied to affirmative action; it can work in asynchronous mode and retrieve content from external pages or getting the inline content. SIMPLEMODAL is very simple to use; here are 4 ways to create SIMPLEMODAL: simple alert message, modal window, modal window with a single asynchronous call and lightbox. A reference to executable code, or a piece of executable code, that is passed as an argument to other code. This is a call to jQuery’s fadeIn() method. This method accepts two arguments: The speed of the fade-in and an optional callback function. In that function you can put whatever you want. When the fadeIn() method is completed, then the callback function (if present) will be executed. So, depending on the speed chosen, there could be a noticeable delay before the callback function code is executed. PageLoad() and jQuery’s $(document).ready() events do the same and seem too similar but in different time. $(document).ready() and pageLoad() methods are very much differ in functioning. In this article, I will explain the major differences between $(document).ready() and pageLoad() methods.